As a certified NAPA Auto Care Center, we use only the NAPA auto parts you know and trust for quality, safety and longevity. We also provide you with the same NAPA “Peace of Mind” warranty, which guarantees our service work and repairs for a full 12 months or 12,000 miles! Combine our 5 star NAPA standards with our ASE-certified Waukesha area mechanics and you’ve got trusted auto parts, a fully backed service warranty and highly skilled technicians. At Lake Country Auto Care in Pewaukee, we take expectations to a higher level. Lake Country Auto Care does not perform emissions testing. Since you still need it done, we’ve provided a handy directory of emissions testing sites to go to. Find the one closest to you. If you don’t pass the test, no problem. Just come on over to Lake Country Auto Care and get the emissions repairs you need. Get directions to our auto shop offering fair and honest pricing you won’t find anywhere else in Waukesha County. We understand you lead a busy life with important places to go and important people to see, which is why we work around your schedule. 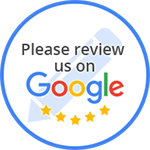 As one of the best and most progressive auto repair shops in Waukesha County, we make your convenience our top priority. Our Waukesha area mechanics get here early, stay late and come in on Saturdays to ensure you’re getting the very best service around. The local auto mechanics we employ here at Lake Country Auto Care are highly respected in the surrounding communities for their outstanding service and willingness to cater to your schedule and work within your budget. Whatever auto repair or auto maintenance needs you have, we’ll take care of you in the most efficient, affordable and friendly manner. When you need a local mechanic who you can trust will do the job correctly, efficiently and at an affordable price turn to Lake Country Auto Care of Pewaukee. Our friendly, ASE-certified technicians are excited to exceed your expectations! Contact our Pewaukee auto repair shop in Waukesha County to request an auto service appointment.